Abstract. 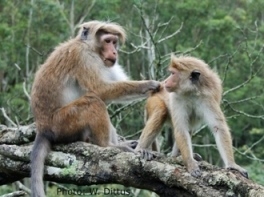 Sri Lanka is a biodiversity hotspot with high human density that contributes to increasing human-monkey conflict (HMC). In 50 years of primate studies there, the development of HMC has been documented, and many workshops and interventions organized to ameliorate HMC. These activities prompted the present survey. 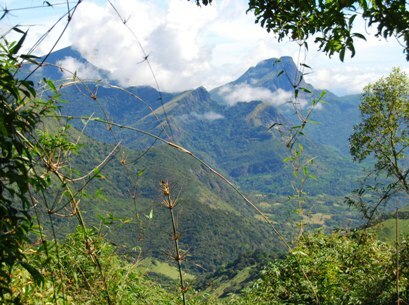 In the extensive lowland dry zone of Sri Lanka, the affected nonhuman primates are the toque macaque, gray and purple-faced langurs and slender loris. We surveyed and evaluated the attitudes of rural residents towards these four species in an effort to contribute to an ethnoprimatological approach to conservation, i.e., promote a coexistence and sharing of habitat between humans and monkeys. 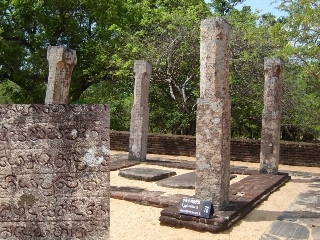 We selected 13 villages near Polonnaruwa, located centrally in the dry zone. The four nonhuman primate species differ in their behavioral ecologies, and this influenced how frequently they were thought of as pests. Most HMC was with the macaque and gray langur, less with the purple-faced langur and least with the loris. The underlying sentiment among stakeholders towards monkeys was generally either neutral or positive. Nonetheless, the majority (80%) of persons desired a translocation of the troublesome monkeys from their properties to protected areas, which is impractical. Few (<1%) openly wanted monkeys destroyed. 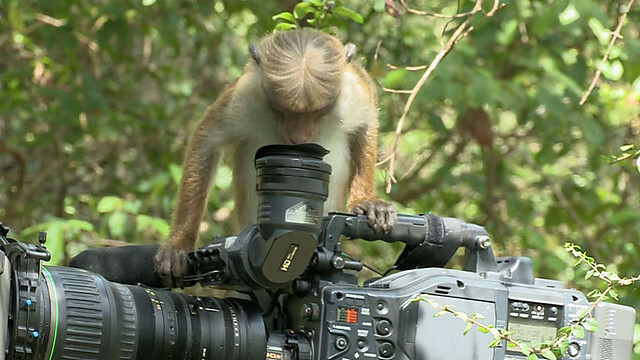 While a traditional reverence for monkeys provides a solid basis for science and media-based education, it also contributes to the feeding of monkeys and consequent unnatural population growth, and enhanced HMC. Public understanding of the underlying causes of HMC was poor, hindering effective solutions. A combination of a feeding ban, possibly contraceptive intervention at localized HMC trouble spots, and extensive education may be the only benign alternatives to the destruction of wild primates by a powerful minority. Coexistence through strengthening and expansion of exclusive suitable protected habitats for all wildlife is a priority.